formulas come with examples for better understanding. Use the powerful search function to find what you are looking for and mark your favorites for easier access. The app is designed for both iPhone and iPad and is available in several languages. A convenient tool for students and teachers and a handy reference for anyone interested in math! Buy the app for $0.99 (or the equivalent in other currencies). 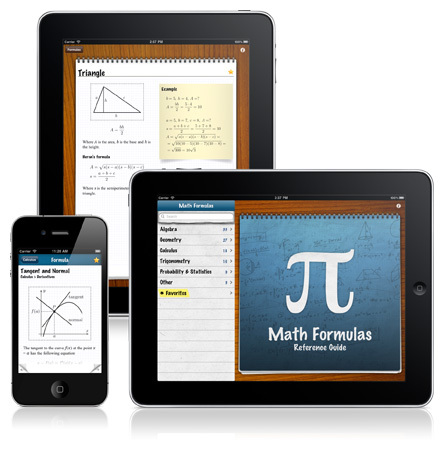 Download Math Formulas from the App Store.